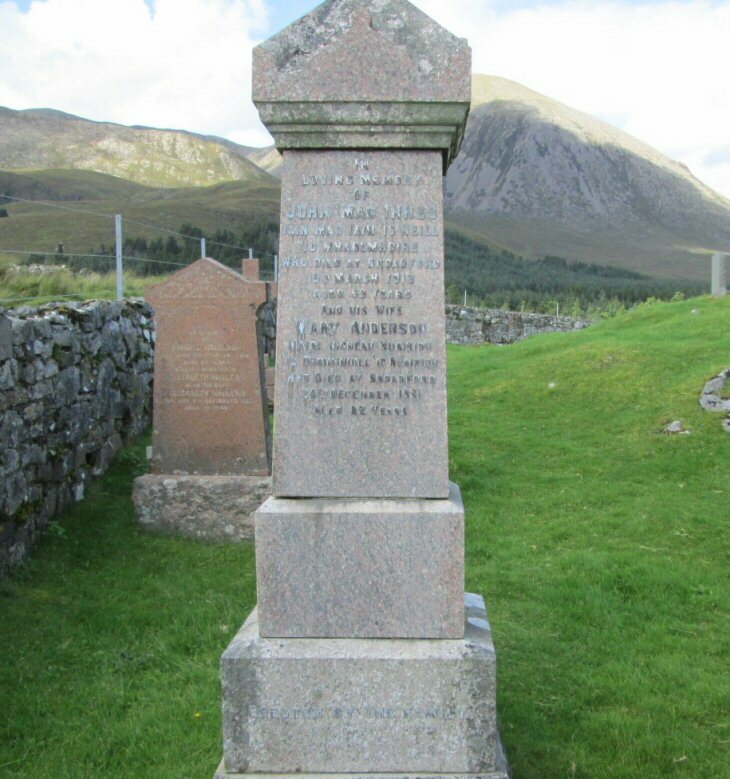 Skye Gravestones | John & Mary (Anderson) MacInnes. John & Mary (Anderson) MacInnes. In/loving memory/of/JOHN MacINNES/Iain mac Iain 'ic Neill/'ic Mhaolmhoire/who died at Broadford/19th March 1918/aged 69 years/and his wife/MARY ANDERSON/Mairi Nighean Ruaridh/'ic Dhomhnuill 'ic Ruaridh/who die at Broadford/20th December 1931/aged 82 years.